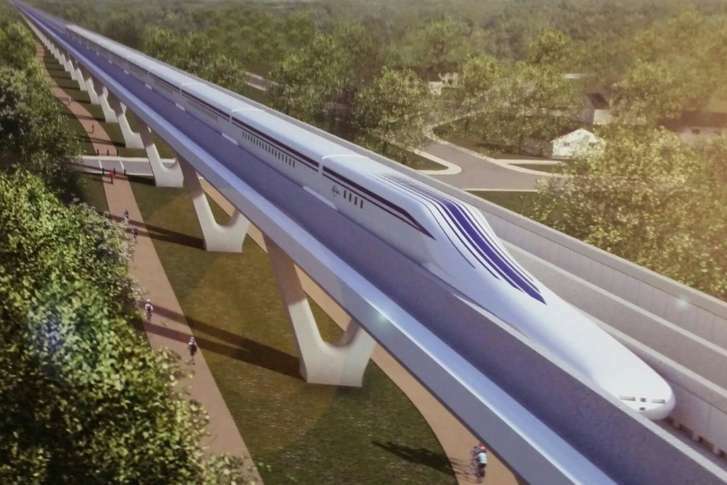 The Northeast MAGLEV CEO said if the project continues to move forward as planned and the state gives the green light to a route, construction could begin in late 2020. WASHINGTON — Japan’s high-speed rail is one of the world’s fastest train systems, and plans to bring that to Maryland continue. “We are essentially down to a corridor of the Baltimore-Washington Parkway,” said Maryland Secretary of Transportation Pete Rahn. Rahn, speaking to a house committee in Annapolis on Thursday, said the options are building the train down either the west side or the east side of the parkway. The final option: Don’t build the train. Northeast MAGLEV CEO Wayne Rogers said if the project continues to move forward as planned and the state gives the green light to a route, construction could begin in late 2020. Construction is expected to take five to seven years, according to Rogers. “The future begins in Maryland,” Rogers said. He told the committee that his team’s preferred route is the east side of the BW Parkway, for the 100 percent privately funded high-speed train line. The high-speed rail, or “maglev” train, would run from D.C. with a stop at BWI Marshall Airport and a final stop in the city of Baltimore. “You land at BWI and, in five minutes, you’d be in downtown Baltimore, or, in eight minutes, you’d be in downtown D.C.,” Rogers said. Another benefit with the route, according to Rodgers, is that 75 percent of the line will be underground. The project will bring 74,000 construction jobs and 1,500 jobs into the state once it opens for business, Rodgers said. He did reveal that $5 billion in financing will come from Japan, which is home to the original MAGLEV. An agreement was also struck with Japan to share its MAGLEV technology so a similar system can be built here. Ticket prices are expected to be around $1.50 a mile, according to Rodgers. “We think it will be a little more expensive than the Amtrak fare,” he said. The eventual plan is for the line to stretch all the way to New York City.